ICAD/VisionLab has its origin in a laboratory founded by Bruno Feijó in 1989, in the Department of Informatics of PUC-Rio, partially funded by FAPERJ. It was the first time in Brazil that a computer science department set up a research program in the area of CAD (Computer-Aided Design) and Computer Animation. The concepts for the creation of this research laboratory was influenced by the period in which Bruno Feijó worked in Control Data Corporation (CDC), a pioneer company in CAD/CAM (ICEM) and 3D modeling (SynthaVision/MAGI, used in the film Tron). In 1989, ICAD and TeCCgraf, the later a laboratory of the Civil Engineering department that time, were merged to form a new model for integrating industry and academy – an association that ended in 1994. 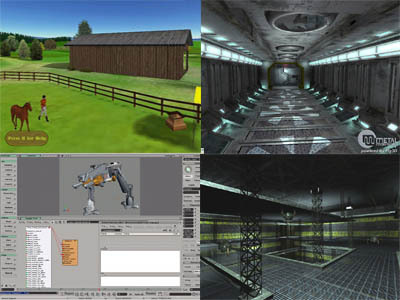 In the period 1997-2002, ICAD started experiments with games and visual effects for TV. In this same period, FINEP (Brazilian Agency for Innovation) started designing a new R&D center in the area of digital images with the help of the ICAD Lab. 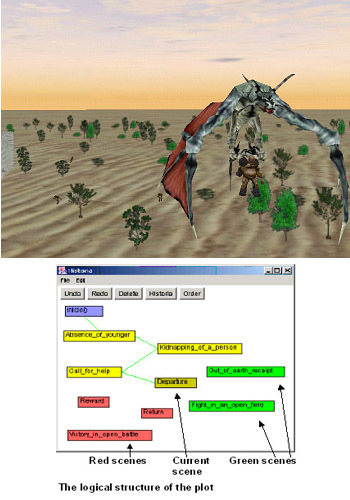 In 2003, the results of this new direction brought a first small investment from FINEP to create a research group in the Department of Informatics/PUC-Rio, called VisionLab, with the mission of being the seed for a bigger project that could make Brazil an international player in the area of visualization and digital entertainment. In this same year, ICAD became the arm of VisionLab in the area of Game Research and changed its name to ICAD/IGames. The Department of Informatics of PUC-Rio was again a pioneer in Brazil as the first Computer Science department in the country to carry out academic research in the areas of game studies and digital content production. ICAD/IGames/VisionLab was the starting point for the creation of a new model in Research, Development, and Innovation aligned with a government industrial policy induced by FINEP. This new model lead to the creation of the Visualization Brazilian Network (RBV), which integrated R&D on visualization between several strategic sectors, such as digital TV and cinema, games, energy, manufacturing, geoprocessing, scientific data visualization, security, and defense. This network had its lead laboratories in five universities (Pontifical Catholic University of Rio de Janeiro, Federal University of Rio de Janeiro, Federal University of Pernambuco, University of São Paulo, and Pontifical Catholic University of Rio Grande do Sul) and in one research institute (National Laboratory of Scientific Computing – LNCC). In 2006, the groups ICAD/IGames and VisionLab were in different locations, the first in the Campus of PUC-Rio, Gávea, and the latter in the Polo Rio of Cine&Video, Barra. One of the greatest achievements of RBV was to influence the area of games in Brazil, which flourished in São Paulo, Rio, Pernambuco, and Rio Grande do Sul. The participation of VisionLab in the RBV program ended in 2008, and the groups ICAD/IGames and VisionLab were merged in a same location at PUC-Rio, Gávea, and named ICAD/VisionLab. In 2008, ICAD/VisionLab started a collaborative program with the institute Oi Futuro that created an education center for digital media called NAVE, dedicated to technical secondary public schools. Nowadays, ICAD/VisionLab has four research groups: Games, VFX and Animation, Interactive Storytelling, and Multimedia & Education.